Welcome Home! 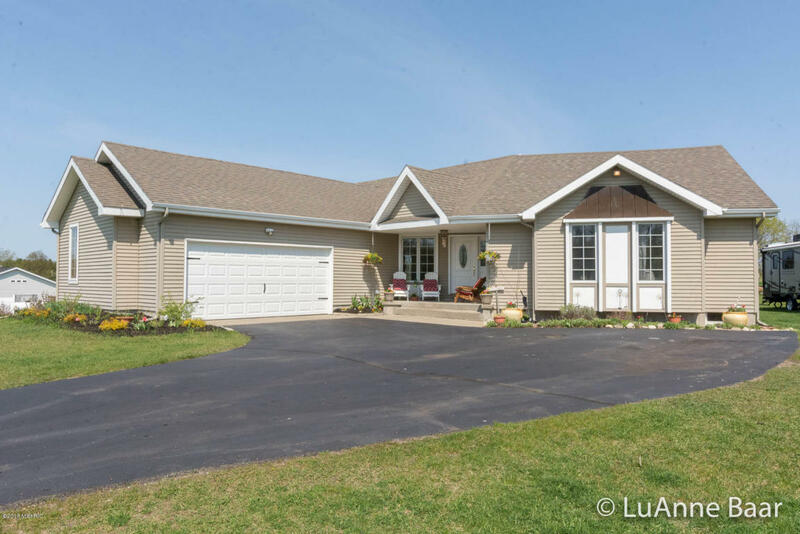 This lovely Ranch is certain to please - situated on an open 1+ acre lot and close to main commuter roads. Nice open floor plan - not your typical ranch layout - and featuring a Master Suite with vaulted ceilings, a Main Floor Utility, gorgeous Dining area and Living Room with Fireplace and built-ins. Gorgeous Hardwood Floors throughout. Downstairs is fully finished with a huge Family/Rec Rm (walkout), Bar/Kitchenette area, huge Office with built-ins, Bath #3 and storage! Hurr y - This gem won't last - FIRST SHOWINGS 5/13, 5 pm!